Hey lovely interwebs people! I’m sorry for the lack of regular updates!! I know many of you enjoy my ramblings and I promise to fulfill your reading needs more often, after this particular post. We embarked on our YouTube adventure two days ago by capturing our first video! There are now two of them waiting to be edited and I’m trying my best to work on that while juggling everything else. So why the challenge of challenges? Well I knew that our smoothie one would spark a little fire under M because it involves food. Not only does he have serious food aversions, but some of the food I picked I’m not even much of a fan of. Obviously that’s a huge red flag. I talked to him before hand and he said he’d be fine and that he was excited to do the video. Excited is an understatement. Every two minutes he’d ask me if it was time yet. So we get everything set up, and the hubs is ready to record with his phone. 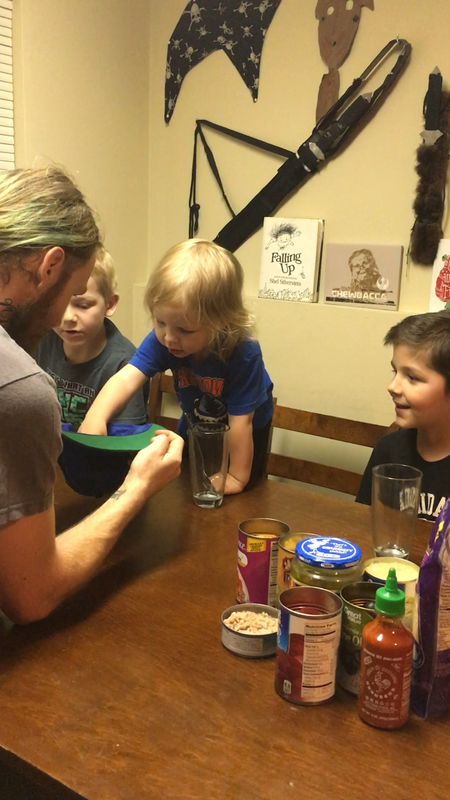 The three tiny humans were eager to pick their fates out of a hat. I don’t want to give too much away before we upload the video, but I will say T and R got almost all the tasty ingredients and M was over it. He ran out of the kitchen knocking over the baby gate crying and screaming. He cried for almost three hours. We don’t plan on doing any food challenges with M anymore, unless they are yummy, like the chubby bunny! If you have no idea what that is, it’s where you try to fit as many marshmallows in your mouth as you can, and still be able to say “chubby bunny”. It’s very silly and my hubby and I both did this as kids. Now, after the slight disaster of the smoothie challenge, I wanted to do something a little more M’s style. 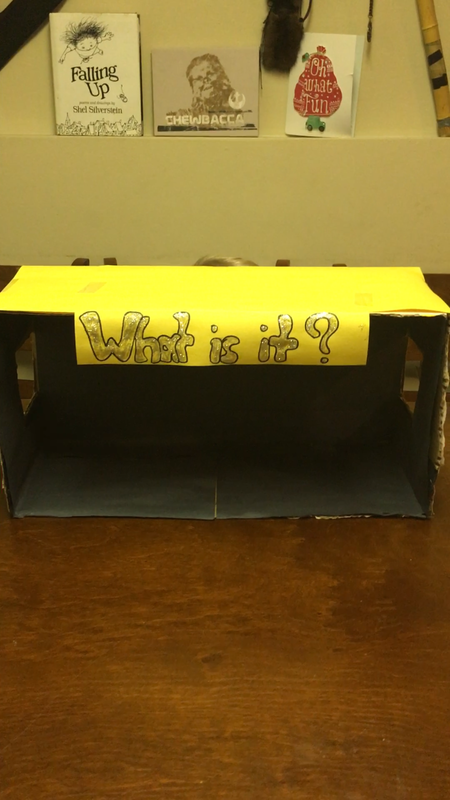 So we decided on a newer one we’ve seen on YouTube where one person puts an object in a box, and the other person has to guess what it is by touching it. M was really excited again, especially after seeing Guava Juice (one of his favorite youtubers) do the very same challenge. I found stuff around the house and had them start guessing the items. M freaked out almost immediately and we called it quits because I had to keep stopping the video. He was in full meltdown mode, hitting his head on the table, knocking over the chairs, kicking the fridge, it was rough, but normal for M.
After a quick convo with the hubs we decided to let M do the challenge on his own. I ventured back into the kitchen where he was still in meltdown mode and told him our idea. It took a little bit of convincing, and me promising I didn’t pick any items that would be difficult for him to guess. We had a great time, and it was awesome bonding for just M and me. I’m hoping as we continue to make videos, that we are able to pick challenges that M enjoys and that he will be able to participate in with his brothers. You never know with this kiddo. Just part of the challenge I guess!